They say the backup quarterback is the most popular player in sports, but that may not be quite true. The most popular player in sports is actually the possible 5-star quarterback who is thinking of transferring to your school. 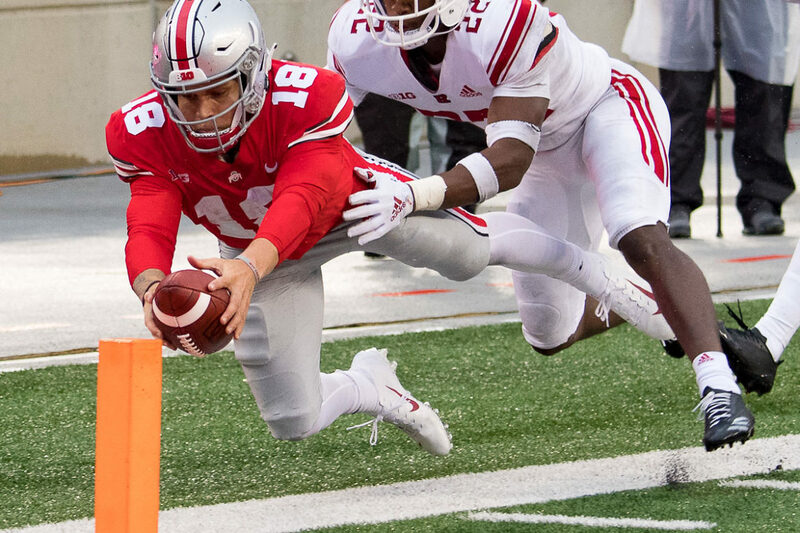 For Tate Martell, who is currently Ohio State’s backup quarterback, he has yet to live the life of a popular backup because nobody has had a problem with starter Dwayne Haskins. He is now also having to deal with the attention being given to the possible transfer of Georgia freshman quarterback — and former 5-star prospect — Justin Fields to Ohio State. Fields was a highly-rated blue chip prospect in the 2018 class, just as Martell was the year before. Martell has heard the conversations about Fields, but it hasn’t changed anything about how he goes to work. One of the reasons Martell isn’t concerned is because he knows first-hand just how difficult this offense is to master. But there is also the fact that Martell has now put in two years of learning that offense. As the backup quarterback, he believes he is next in line to be the starting quarterback at Ohio State. Some people may think that Martell would look to transfer if Justin Fields does end up a Buckeye. 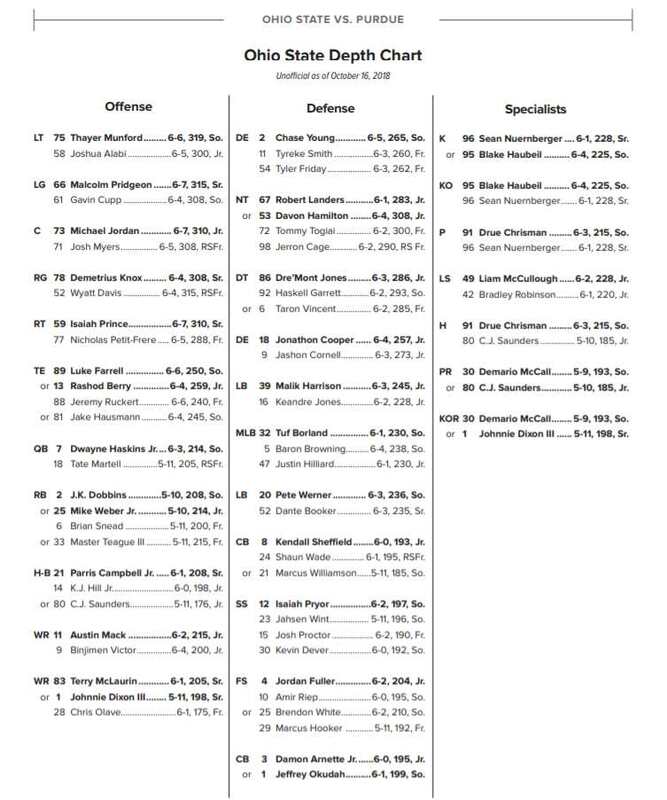 Instead, Martell knows the offense needs four scholarship quarterbacks and who that quarterback is won’t change his goals in 2019. With the likelihood that Dwayne Haskins will leave for the NFL following the Rose Bowl, Martell finally sees his first opportunity to be the starting quarterback and now isn’t the time to back out on what he has worked so hard to achieve. There’s also the fact that he has no doubts who will be replacing Haskins next year as the Buckeyes’ starter. He is an excellent passer. Arm like a cannon. Arm more like a water gun, a good water gun. He underthrew a td pass by 7 yards throwing it as far as he could heave it, and it wasn’t even fifty yards. So no, not a cannon arm. The third best arm on the team of those with scholarships. He’ll be 4th if Fields comes on board. If I apply Tate’s reasoning for why he should start next year….I am now qualified to officiate college football given the number of years officiating and being around the game….lol. In what little I saw of Tate this year he did not impress….poor passer…ok as a runner. @James Mills, my friend not sure how you can make such a blanket statement….have you seen Fields play? He worked out with Haskins, had the same man coaching him over the summer as Haskins and he has Haskins endorsement (which seems more than Martell has). Let’s try to finish the season on a high note and win the final game then the spring will help sort things out….don’t forget there is another QB by the name of Baldwin in the house. Not a coincidence that Martell never lost a game in 4 years of H.S. The guy is a winner; pure and simple. If OSU would of had its expected blow outs during this mid season than Tate would if had a lot more playing time. Either way he needs to get playing time. Fields wouldn’t beat Tate out for the starting spot. It’s that simple. Kid has fire, and some skills. Starter or not he will be part of the 2019 offense.